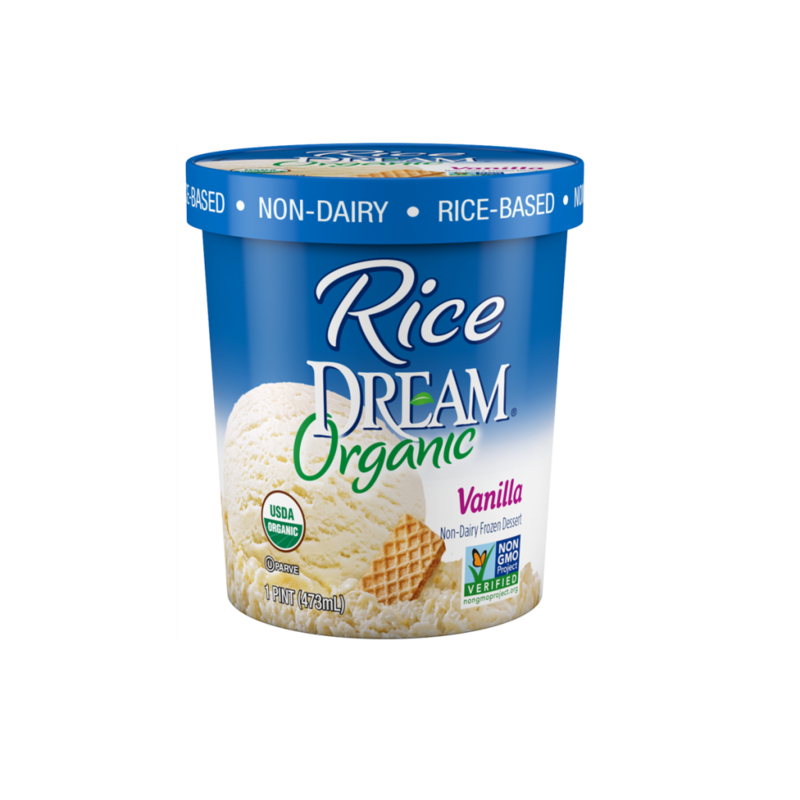 Rice DREAM® Vanilla Non-Dairy Frozen Dessert is a deliciously smooth and creamy frozen treat made from real brown rice. Certified organic with a delightfully sweet vanilla flavor, you just might say goodbye to dairy ice cream for good. 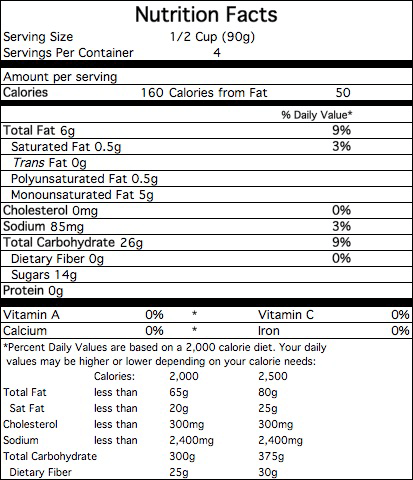 FILTERED WATER, ORGANIC BROWN RICE SYRUP, ORGANIC AGAVE SYRUP, ORGANIC RICE DEXTRIN, ORGANIC EXPELLER PRESSED SUNFLOWER OIL AND/OR SAFFLOWER OIL AND/OR CANOLA OIL, ORGANIC TAPIOCA STARCH, ORGANIC VANILLA EXTRACT, CONTAINS 2% OR LESS OF SUNFLOWER LECITHIN, SEA SALT, ORGANIC GUAR GUM, CARRAGEENAN.